This stylish hotel is centrally located offering good accommodation, facilities and services. The perfect base whether you’re visiting Belfast for business or pleasure, within easy access of the city centre and top sights and attractions. The hotel offers twenty four hour security, currency exchange and is serviced by an elevator. The hotel has its own peaceful gardens, lobby bar and Wi-Fi access. You’ll also find a twenty four hour reception desk, concierge service and night porter onsite. Each en-suite guest room comes with complimentary toiletries, air conditioning and double glazed windows. The rooms all offer a safe, tea and coffee making facilities, telephone, turndown service, internet access, work desk and mini bar. Room service is available should you prefer to dine in the comfort and privacy of your own room. For business travellers there is a business centre complete with banqueting facilities, board rooms, conference facilities, meeting rooms, courier services, fax and photocopying services and printing services. 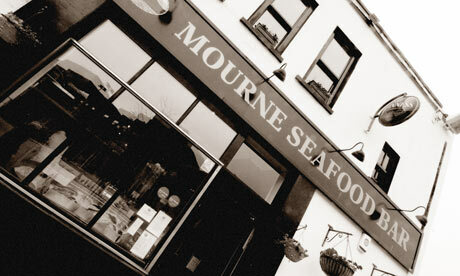 Mourne Seafood Bar is a must for anyone who wants to try some of the fresh oysters and mussels in the area. A relaxed setting with attentive staff and outstanding seafood dishes makes this a great choice when in Belfast. 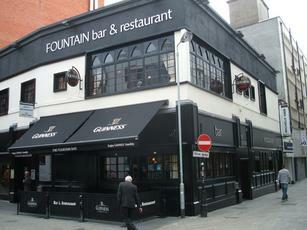 Fountain Bar is a relaxed traditional bar experience serving cold beers, wine and spirits. On Friday nights this place gets busy as traditional music plays in the background. Belfast Treasure Hunt is a chance for you to explore the sights and attractions of Belfast and keep the children entertained at the same time. Solve the clues you find on various monuments and buildings throughout the city centre with a choice of hunts from murder mystery and spy to treasure. Titanic Boat Tour is a chance to soak up some history and spend a romantic day together on the water in Belfast. The tour takes you to the birthplace of the Titanic in Belfast Harbour. The tour leaves from Number two jetty and lasts seventy five minutes with commentary so you can learn about this famous ship as you go around the area and soak up the sights. Ulster Folk and Transport Museum offers over one hundred years of Belfast life with costumed guides carrying out traditional crafts. A chance to step back in time and learn all the Belfast had to offer back then. The Outlet Village is home to over fifty stores including exclusive brands. Just twenty five minutes from Belfast city centre, this shopping centre has become a top choice with locals and holiday makers.